Last week we released a new version of our Configuration Manager Web Interface netECM:UserDevice. Some of this features presented in this blog are now available for free. A registration is required after 30 days. So you can test the free version without a registration. If you like to see all features for testing purposes you have to request a trial key. See the product page for more information and a feature comparison matrix. 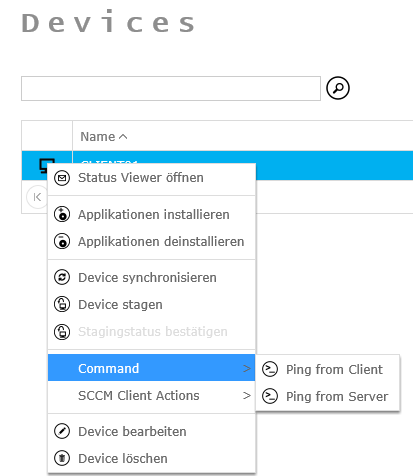 You can monitor your OSD, Application and Windows Update deployments directly in the device list. They are displayed with four bubbles. This enables you to easily track installations without reading log files or status messages. netECM:UserDevice helps you to add multiple devices to multiple collections to deploy applications and operating systems with a single wizard. You can run scripts on the server or locally on the web client from the context menu of each client. This allows you to define very cool and custom features, like to start your remote tool. 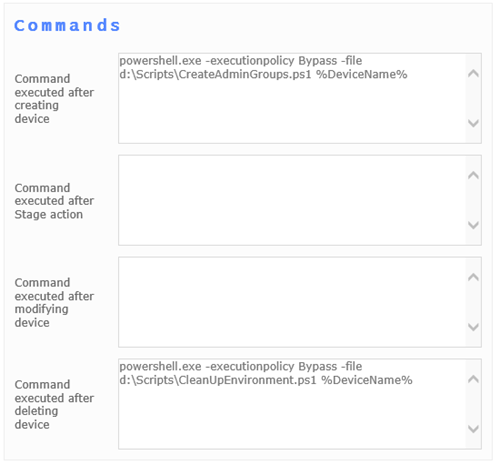 With device events scripts on the server are executed wen some conditions met, like device is deleted. Then you can start for example a cleanup script, which removes the active directory computer object of the device. Create device types, which define staging collection, and device variables. If you have any questions about this product, don’t hesitate to contact us or me directly.